Deanna and Jackie Halcrow have already amassed a large fan base for their wholesale bagel company thanks to years of pop-ups and farmers market appearances. 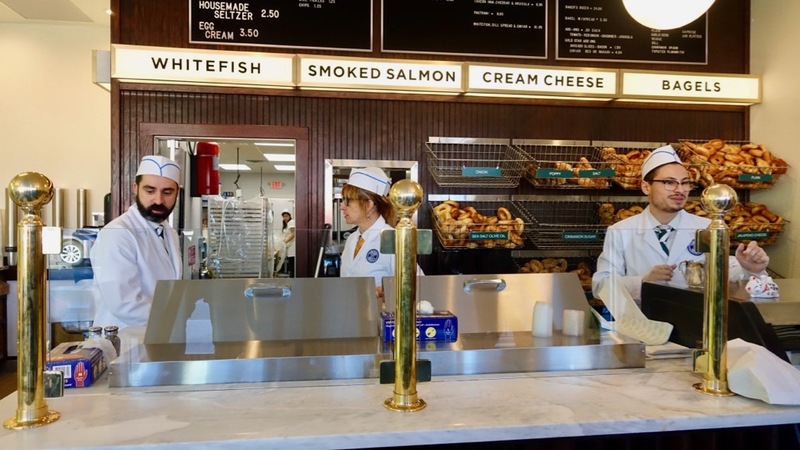 Finally, after what felt like an endless wait for those fans, Emerald City Bagels has opened its first brick-and-mortar shop in the former Gravity Pub space on Glenwood Avenue in East Atlanta Village. The Halcrows chose EAV because, according to Deanna, the neighborhood is where many of their customers lived. The long lines every morning are all the proof you need that EAV was more than ready for a go-to bagel spot. The Halcrows make traditional long-fermented, boiled, and baked bagels in the style they grew accustomed to in New York. Peer into the kitchen and you’ll see them working away, paper hats and all. Bins behind the counter are filled with hot bagels (plain, everything, poppy seed, cinnamon sugar, onion, and jalapeno cheese, just to name a few), which can be topped with homemade cream cheese blends that include everything from dill to toasted almond and fig. And they also serve smoked fish and a variety of vegetable toppings. 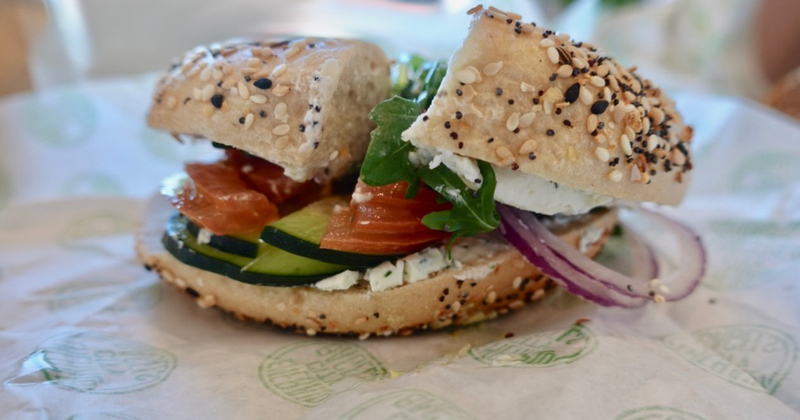 The bagels have a nice chew and a good depth of flavor. 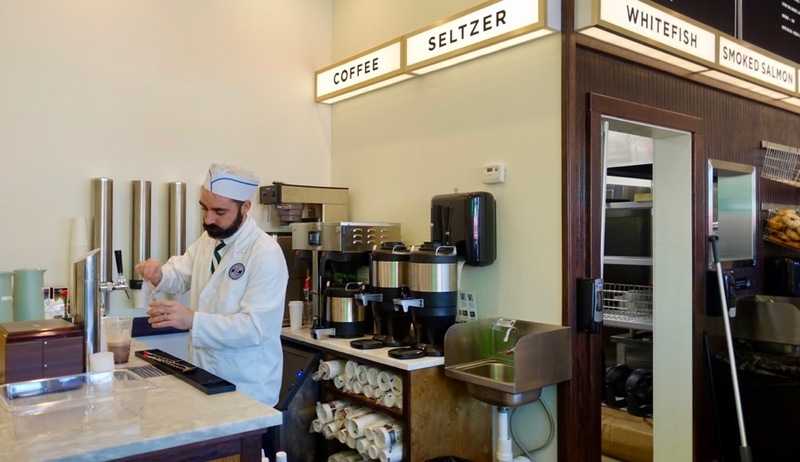 The new shop is also a love letter to other classic treats such as egg creams (a misleading name—there’s no egg or cream in this NYC fountain staple, but instead milk, syrup, and seltzer) with in-house seltzer, made by an actual soda jerk. 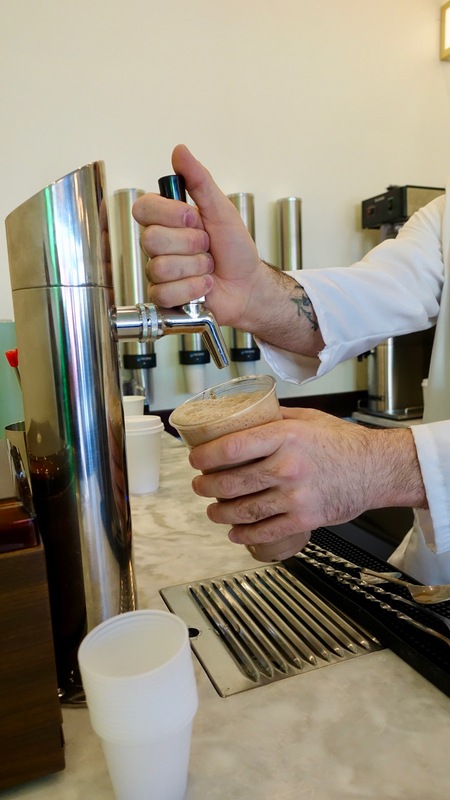 Since lines at the shop can get pretty long, employees walk around with samples of ginger-infused seltzer and chocolate egg creams in small plastic cups. 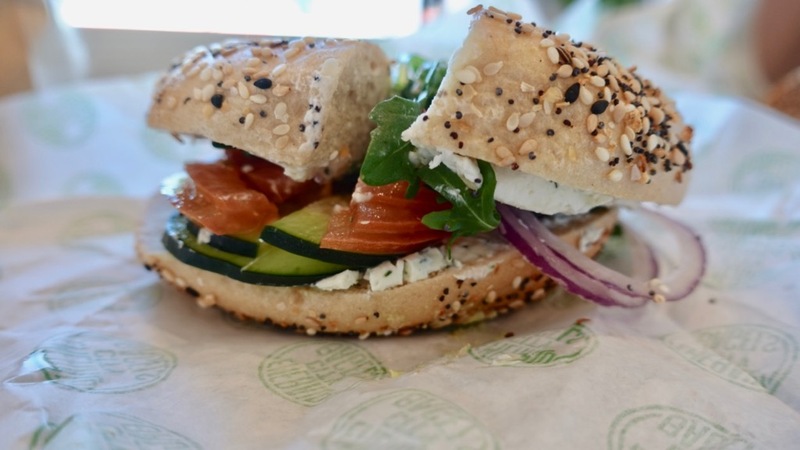 With the shop still in its soft opening phase, the front deli case is a little sparse, but Emerald City will soon offer fried egg bagel sandwiches and deli-style sandwiches, along with new bagel flavors such as pumpernickel.